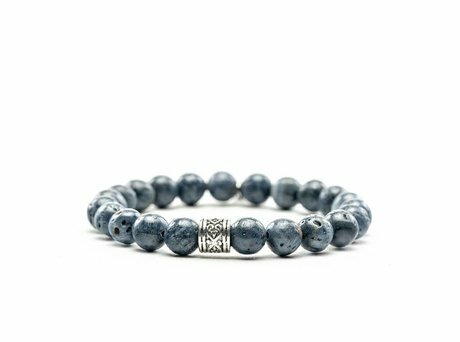 This blue bracelet of the REHAB X By Shir collection is made from a string of real polished gemstones called Lapis Lazulli. The Lapis stone is a spiritual gemstone. It helps you to make te right decisions in life. Ontvang direct een e-mail zodra de REHAB ARMBAND BY SHIR AGATA CLUBS BLUE op voorraad is in jouw maat.